The door softly opened, and in the doorway appeared a girl no longer very young, looking ill—and plain—but with very soft and mournful eyes. Aratov got up from his seat to meet her, and introduced himself, mentioning his friend Kupfer. 'Ah! Fyodor Fedoritch?' the girl articulated softly, and softly she sank into a chair.
" Love, I thought, is stronger than death or the fear of death. Only by it, by love, life holds together and advances. " Three stars for the prose poems. 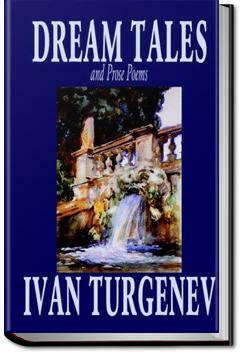 The dream tales were too Romantic for me, not typical Turgenev.